Here's another curious mixture of old and new, contemporary and fantasy, popular and critically received. Get your pen and paper ready to jot down some titles to seek out! From murderous boys to magical denim it is time to unveil your picks for #80-76! Sarah Dessen cites this title as the most loved of her published works possessing the largest and most vocal group of fans. Awarded the South Carolina Book Award for Young Adult Book Award (2001) it was also adapted into a film starring Mandy Moore and Allison Janney in 2003. “ I think every young adult should read this...it relates to our nature.” Alli Watson, reader. 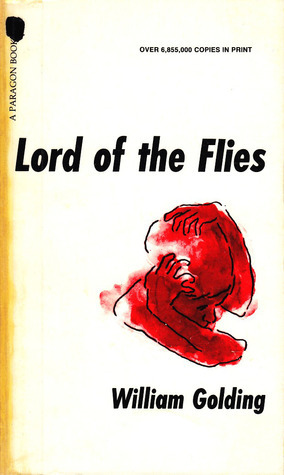 Taught in most high schools across the world, Lord of the Flies, its reputation proceeds it...as does the movie adaptation. One of the most challenged books of the last few decades, Lord of the Flies is a brilliant exploration of human nature in the toughest of situations. Time magazine listed it as one of the best English-language novels of the past century and it is the only title on this list authored by a Nobel Prize winner. “This book shows that fairies or ""faeries"" are no creatures to be messed with. Move over Tinkerbell, these are dark and scary creatures!" Theresa, reader. 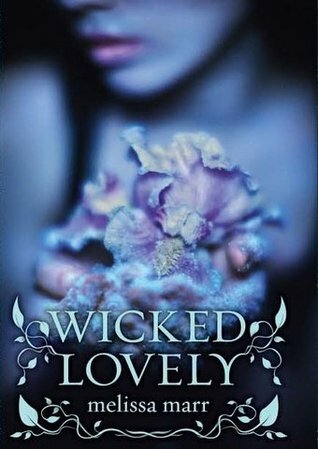 The first of the Wicked Lovely series, this novel graced the New York Times and Los Angeles Times Bestseller lists as well as their counterparts in Germany and France. Marr’s interesting take on the Seelie Court delves into the darker elements of contemporary society and spins romance, danger and intrigue into the mix. It is not surprising then that Marr was awarded the 2007 Romance Writers of America (RITA) Award for Best Young Adult Romance (2008). While the authorship of this novel is still a little bit of a quandary, psychologist Beatrice Sparks is has been credited for creating this character and story after finding herself inspired by one of her teen patients. A book that has time and time again been censored for its profanity and events, Go Ask Alice still makes its mark thirty years after first being published. Random fact – William Shatner starred in the movie adaptation as the girl’s father. "Anyone can find someone to connect to within this book. Anyone." Kelcie Pegher, college student. The highly successful The Sisterhood of the Travelling Pants series kicks off with this title and became an international best seller. Brashares debut work was adapted into a film in 2005 with a sequel released in 2008. This novel was a South Carolina Book Award Nominee for Young Adult Book Award (2004) as well as a Pacific Northwest Library Association Young Reader's Choice Award for Senior (2004). I am loving these posts! So far, I have probably not read more than I have read, but I plan on printing out a list when you're finished and hope to eventually get through them all (well, maybe...but it's good to have goals, eh...?). Thanks for all the hard work you've put into this - it's fab. I've read all these. My fave from these picks would be... Lord of the Flies! <3 it, love the premise and it's surprisingly an amusing, though horrific, read. Does that even make sense? Great to see Wicked Lovely, a Dessen and Sisterhood here. 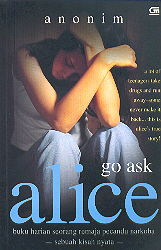 Not happy at all about Go Ask Alice. Fingers crossed that it's only GOA that shows up here, and not Jay's Journal. The Sisterhood are probably the books that reintroduced me to YA in the last four or five years. Loving the books - really interesting mix and I'm loving the old with the new. Awesome list! I love this feature, can't wait to see more!